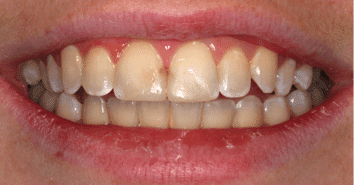 Dental Problem: Crooked and dull teeth. Anna wanted a beautiful smile for her wedding day. When Anna came to see Dr Stefan Danylak, she had a crystal clear vision of what she wanted her smile to look like on her big day—the most important day of her life to date—her wedding day! Anna knew that she wanted, straight, white, sparkling teeth on her big day. She wanted to be able to look back at her wedding photos in 20 years time, and be completely satisfied with how her beautiful smile looked at her wedding. 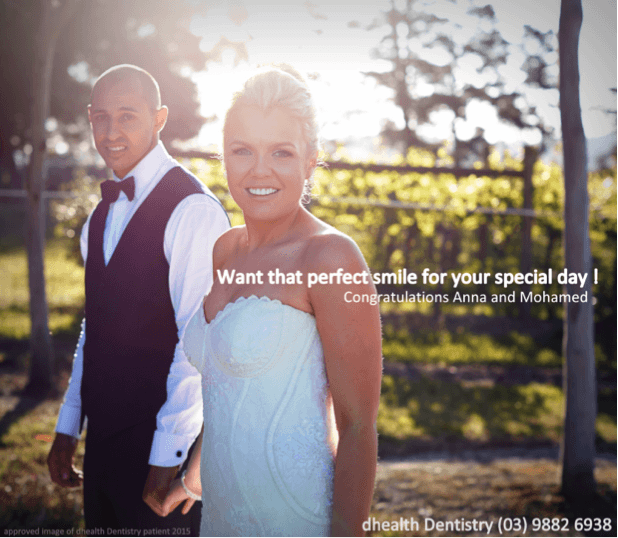 In order to give Anna the smile of her dreams for her wedding day, Dr Stefan Danylak designed a tailored treatment program, especially for Anna. This included two main procedures: teeth whitening and composite veneers. To begin with, we started a program of teeth whitening, to ensure that Anna’s pearly whites were the best shade possible. Anna had one of session on in-chair teeth whitening to being with. During this session, Dr Danylak applied a specially formulated teeth whitening gel to Anna’s teeth, after which he used a special laser to activate the active ingredient in the gel: peroxide. 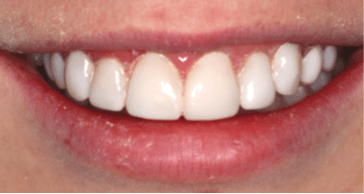 While the results of this treatment were immediately noticeable, at-home teeth whitening was used for the following two weeks, just to ensure the best possible result. Once the two-week at-home teeth whitening was complete, Anna came to visit our Camberwell dental surgery once more. During this visit, we first agreed on the closest matching colour to Anna’s teeth. Then, we re-created all the necessary teeth shapes, using composite veneers, to match Anna’s surrounding teeth. The veneers were able to correct a number of issues; they improved the shape of Anna’s teeth, and covered any small chips or gaps between her teeth.